Nutri-Vet Grain Free Hip & Joint Soft Biscuits For Dogs are grain free soft chews containing Glucosamine, Chondroitin, MSM and Hyaluronate (HA) to improve and support vitality, mobility and agility. Prosamine is an affordable glucosamine-based supplement designed to provide the nutrients needed to build and restore joint tissues. Also contains vitamins, minerals, and hydroxyproline, which is a scarce amino acid essential for cartilage maintenance. NUPRO Joint Support includes extra ingredients which enrich our regular formula and made especially for the active, athletic or senior dog. LubriSyn is an odorless, tasteless oral gel with hyaluronic acid (HA), a naturally occurring part of tissues and a primary constituent of synovial fluid, the viscous substance that lubricates joints. TriCOX Soft Chews help maintain normal inflammatory and immune response in the canine joint. TriCOX also provides the cartilage building blocks, antioxidants and muscle support necessary for proper joint and limb function. Vet Classics ArthriEase-GOLD provides optimal levels of Glucosamine, Chondroitin, Green Lipped Mussel, Hyaluronic Acid and MSM. This combination is recommended to help support, maintain, and contribute to rebuilding damaged cartilage and tissue. Vetz Petz Antinol is a concentrated daily joint supplement formulated with a blend of Omega-3s and other fatty acids known to aid in enhanced joint comfort and mobility. Phycox One Soft Chews Canine Joint Support is a safe and natural joint relief and joint health supplement for all dogs. Phycox is a once a day formula offering a natural source of phycocyanin with proven health benefits. 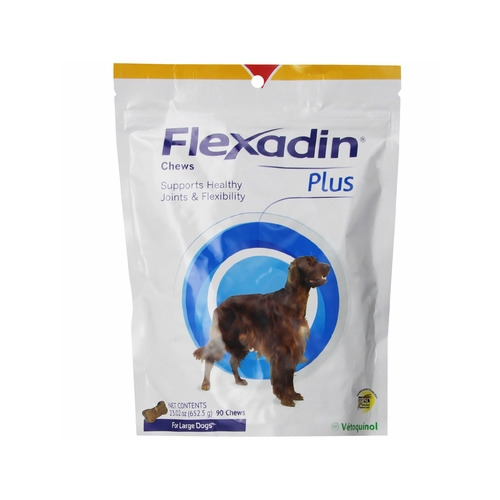 Phycox is recommended to support joint flexibility and mobility, and healthy bone structure in dogs. Phycox One provides enhanced antioxidant protection and Omega-3 Fatty Acids in a palatable soft chew.